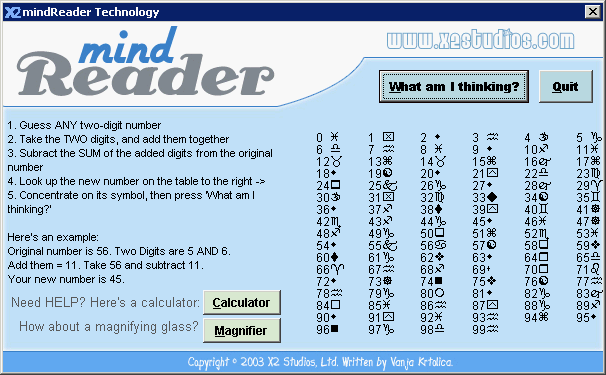 Here is a downloadable, standalone version of the famous online Flash mind reader you may have seen before. This version is nicely packaged with easy access to a calculator to help you calculate your way to total amazement. ← Where should you retire?